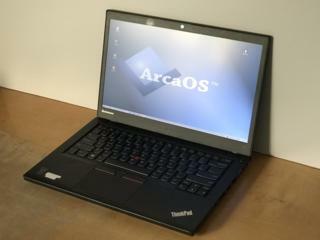 I have sought out recent Lenovo Thinkpads models most compatible with ArcaOS or eCS. Lenovo Thinkpads are top quality laptops, with excellent documentation. Click on the picture of the computer for detailed specifications. This is a full size laptop that is a better choice for people requiring a desktop replacement. This is a lightweight notebook with a fabulous screen. It's the newest laptop, and ArcaOS support has just been achieved. This is a lightweight notebook with working, built-in WiFi.